Rubbing of the scene of “Wei” 緯 (“Weft”), from the Yuzhi Geng zhi tu 御製耕織圖 (Imperially commissioned Pictures of Tilling and Weaving), ink on paper, most likely eighteenth century, Huaihai Tang collection, Hong Kong. This special event features a much-anticipated return of the Qianlong-era Pictures of Tilling and Weaving (Geng zhi tu 耕織圖) that are currently in the Huaihai Tang 懷海堂 Collection of Hong Kong. Through the generosity of their owner, rare imperial rubbings of the Pictures of Tilling and Weaving will be on display for viewing after a lecture by Dr. Roslyn Hammers of the University of Hong Kong. With grandiose ambition that typifies much of Qianlong’s art commissions, the Pictures of Tilling and Weaving were flamboyantly embellished and glorified by this emperor. Dr. Hammers, in this lecture, explores the appeal of the Pictures of Tilling and Weaving and Qianlong’s motivations for dedicating a garden in one of his imperial palaces to their display. With Qianlong’s enthusiastic patronage, the Pictures of Tilling and Weaving became a canonical subject for art in the Qing era, and served the Qing court as an emblem to announce its just and prosperous agricultural policies. 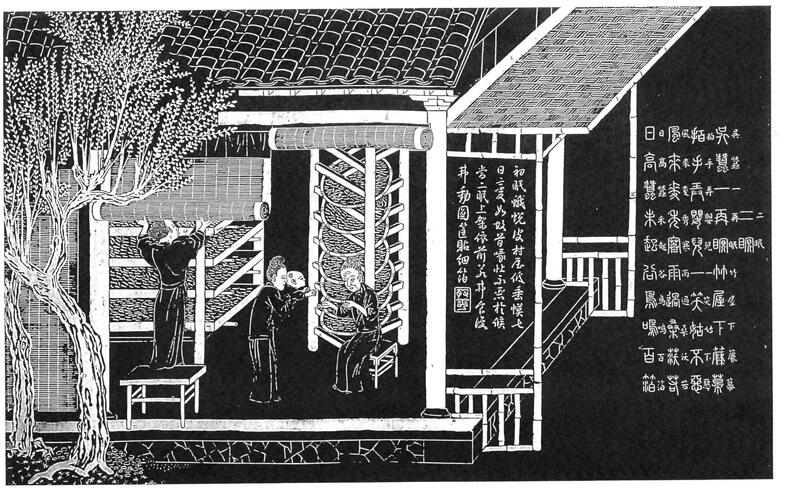 The Pictures of Tilling and Weaving were emblazoned on many surfaces of countless objects to demonstrate recognition of the great achievements of Qing governance. In this lecture, Dr. Hammers explains how Qianlong, ever inspired and energetic, personally introduced an iconographic twist, a change to the imagery, harnessing the authority and power of the canonical Pictures of Tilling and Weaving to announce the supremacy of the Qing imperium in all matters political and cultural.